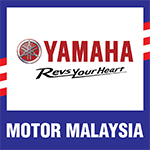 Hong Leong Yamaha will be sending a team of ten young Malaysian riders to take part in the annual Yamaha Asean Cup set to take place in Manila, Philippines this December 6 to 8, 2012. Ranging from ages 16 to 20, the riders are handpicked from the Yamaha teams participating in the 2012 PETRONAS AAM Malaysian Cub Prix Championship. Ahmad Afif Amran, Mohamad Shariffudin Shamsuddin and Che Ku Amriq Che Ku Junaidi (CKJ Yamaha Racing), Mohamad Taufiq Roslan (Yamaha Maju Motor), Mohamad Hafiz Nor Azman and Amirul Hakim (MOS Track Pro Yamaha Racing), Zulsyafiz Rosli and Mohamad Rozaliman Zakaria (PETRONAS Syntium Moto Yamaha AHM), Mohamad Nasri Ishak (Apido Yamaha Boon Kui Racing) and Yamaha one-make race rider Muhammad Khairul Ikhwan Ajis will form Team Malaysia in the 2012 edition of the annual Yamaha event that brings together upcoming riders from the Yamaha stable throughout the region. Afif, Taufiq, Shariffudin, Hafiz and Zulsyafiz will be racing in the MT (Manual Transmission) class while Rozaliman, Nasri, Che Ku Amriq, Amirul Hakim and Khairul Ikhwan have been earmarked for the AT (Automatic Transmission) class. They will be competing against their peers from the Philippines, India, Indonesia, Japan and Thailand. “In the past, the participating countries used to send only their established riders for the competition. But over the years, the emphasis has evolved. We now see most countries fielding exciting young talents who may go on to become the Asian champions of the future,” explained Voon Yin Kong, General Manager of Sales and Marketing, Hong Leong Yamaha Motor Sdn Bhd. Out of the ten Malaysian riders, only Ahmad Afif Amran has raced full season in the Underbone 115cc class of the 2012 PETRONAS Asia Road Racing Championship. Afif ranked fifth overall with a total of four podium finishes to his name. For the young Wira class riders like Hafiz Nor Azman, Amirul Hakim and Mohamad Nasri Ishak, this will be their first time competing against riders from other countries. The Yamaha Asean Cup that started in 2003 had traditionally always been hosted in turn by Malaysia, Thailand and Indonesia. This will mark the first time the Yamaha Asean Cup is being held in the Philippines. Practice will start on Friday, December 7 and will culminate with Race Day on Saturday, December 8, 2012.